Looks very elegant indeed. (Must remember to start learning French) Thanks ! 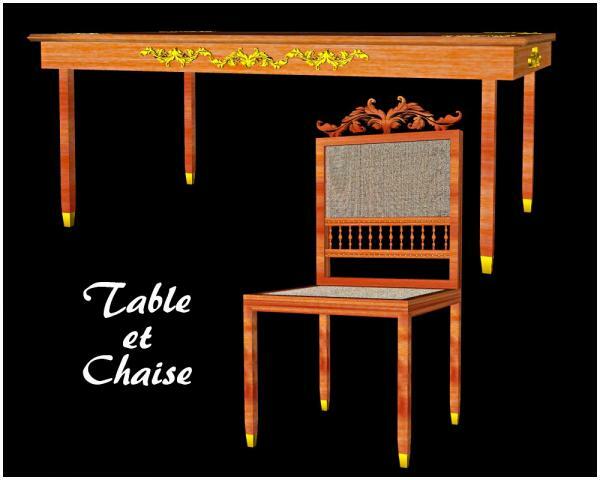 Translating chaise Fr > chair in english ** table Fr > also table in english...? O_o Weird that you have Chair in French but Table in English. I am not complaining, I just find it amusing :) Very nice model. This set looks great; thank you very much!